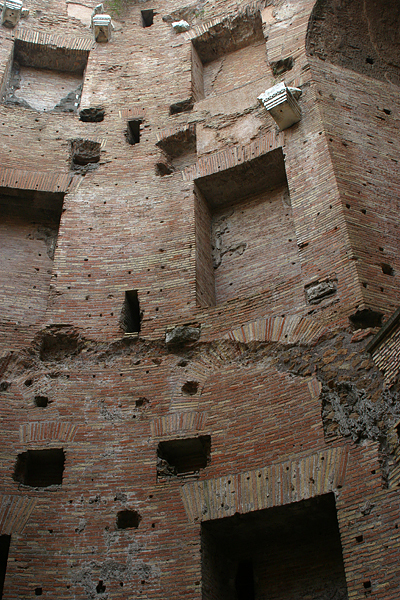 Dedicated in AD 306, the Baths of Diocletian (Thermae Diocletiani) were the largest and most sumptuous of the imperial baths and remained in use until the aqueducts that fed them were cut by the Goths in AD 537. Similar in size and plan to those of Caracalla, they are so well preserved because various parts later were converted to ecclesiastical or other use. The complex now houses the Basilica of Santa Maria degli Angeli e dei Martiri and the Museo Nazionale Romano (National Roman Museum).